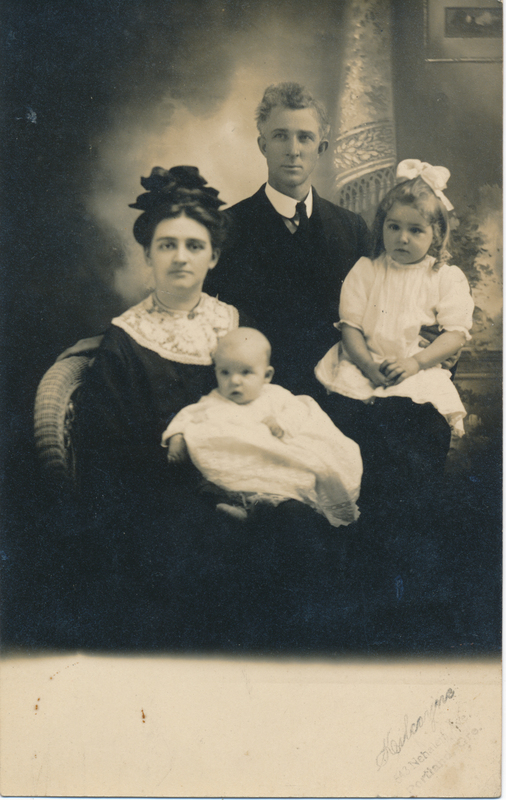 Description Postcard photograph of Preston Theodore Glenn, his wife Marion Hazel Magone Glenn, and their children Esther Hazel Glenn and Ronald Preston Glenn. Ronald was born 07/11/1911. Marion was the second daughter of Daniel Magone and Henrietta Carman Magone. Studio stamp on front reads: Kilcoyne; 543 Nehalem Ave, Portland, Ore. City Directories indicate a Mrs. Julia A Kilcoyne was a photographer at this address in 1913. Photo courtesy of Gary Glenn.